After a long day’s work, it’s all about being creative in the kitchen with what you can find. I managed to put together some chicken wraps and a coconut rice pudding one night from what was in the pantry. I must admit, some days I found it difficult to blog about “finding art in the everyday”, despite the entire premise I initially started out with – that anything can be art. So when I found an unexpected spark of creative genius and inspiration during my 30 minute rush of trying to put together a meal before I got #hangry, it re-charged my creative battery . The chicken wraps turned out well, but the coconut rice pudding was a little bland. As I was stirring the pudding with unsatisfaction, it hit me. 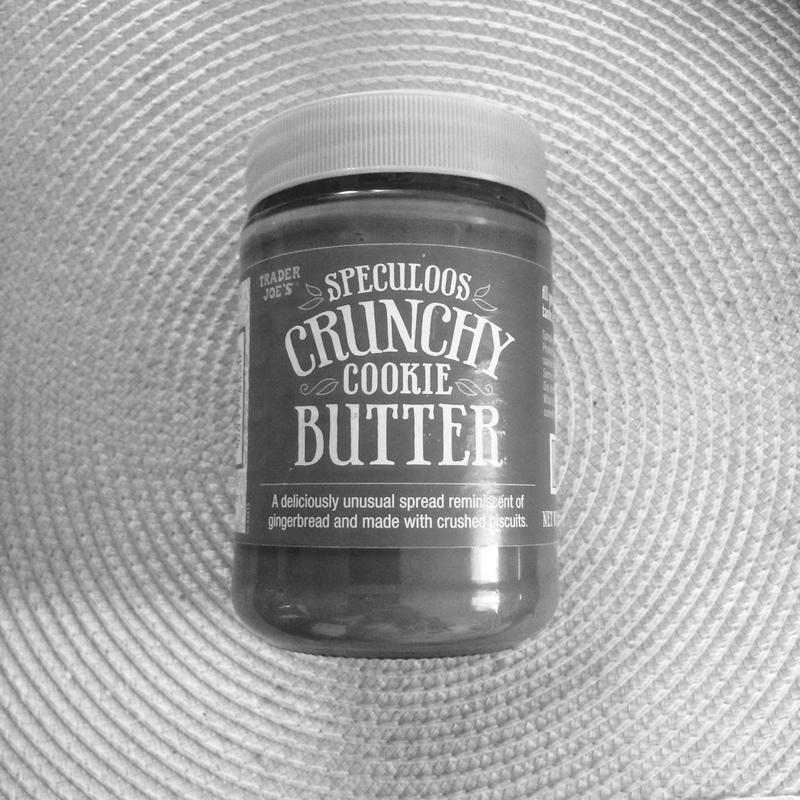 I had Trader Joes’s Speculoos Crunchy Cookie Butter. Should I? Could I? Hesitantly I took a spoon and stirred it into the pudding. Eureka! It worked! It really did work! And it was good! Very good. So there you go. Cookie Butter Coconut Rice Pudding. In that exciting breakthrough, I remembered that creativity comes unexpectedly, even when you’re not trying. So trust yourself to take chances. That’s how new things get made. 1. Put the water into a medium size pot and bring to a boil. 2. When the water is boiling, bring the heat down to medium and stir in your rice. When the rice has absorbed most of the water, begin to add in the coconut milk, 1/2 cup at a time until absorbed. Keep stirring and adding coconut milk until the rice is cooked. This will take aprox. 20 minutes. 3. When the rice has absorbed all the fluid and cooked all the way through, turn the heat off. Stir in your sugar and cookie butter. 4. Enjoy warm or cold. Note: This post was not endorsed by Trader Joe’s. It really is just delicious.